Education Sciences (ISSN 2227-7102) is a scholarly international open access journal. It publishes extended full-length research papers that have the scope to substantively address current issues in education. There is no restriction on the length of the papers relevant to any field of study within education. Submissions that synthesize information from disparate backgrounds, place research findings within a broad context, extend our methodological and theoretical understanding, and have the likelihood of informing education policy and practice, are preferred. The journal publishes quantitative, qualitative and mixed method research papers. Extended reviews of substantive research studies and/or technical reports published elsewhere are also welcome. Additionally, Education Sciences invites commentaries and original opinion pieces and/or analysis of issues and events of concern to education scholars that have international resonance. Our aim is to encourage researchers to publish their research in as much detail as possible. Full reports of findings and methodical details should be provided. Computed data or files, if available and unable to be published in a normal way, can be deposited as supplementary material. Online features can take advantage of the variety of media made possible through electronic publishing, including the use of audio, video, complex or dynamic graphic displays, interactive sessions, performances, and other means to improve the communication of scholarly work. Features may be presented as a single article or in serial form. 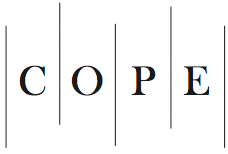 Education Sciences is a member of the Committee on Publication Ethics (COPE). MDPI takes the responsibility to enforce a rigorous peer-review together with strict ethical policies and standards to ensure to add high quality scientific works to the field of scholarly publication. Unfortunately, cases of plagiarism, data falsification, inappropriate authorship credit, and the like, do arise. MDPI takes such publishing ethics issues very seriously and our editors are trained to proceed in such cases with a zero tolerance policy. To verify the originality of content submitted to our journals, we use iThenticate to check submissions against previous publications. MDPI works with Publons to provide reviewers with credit for their work.